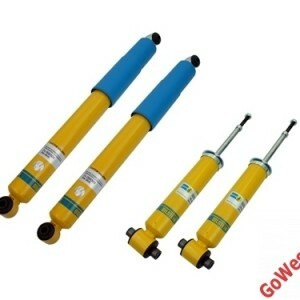 We are proud to offer you the exclusive GoWesty/Bilstein Extra Heavy Duty Shock Absorbers for 2WD! 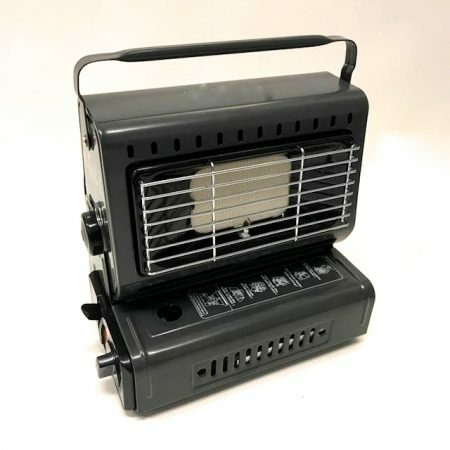 SKU: CVC- BIL-VANO-BNDL-XHD. 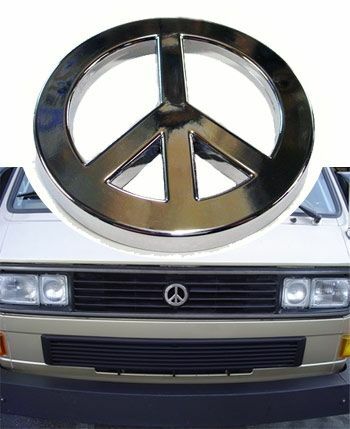 Categories: Gowesty, Latest Products, Suspension. 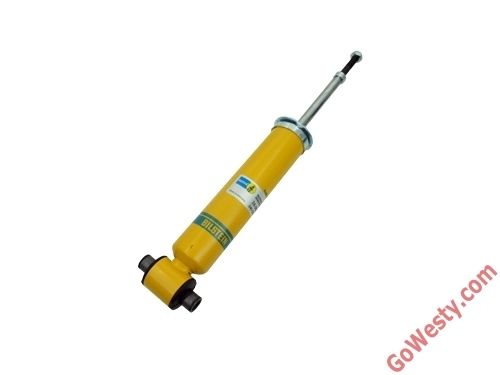 There is simply no better shock in its class for a 2WD than a Bilstein. 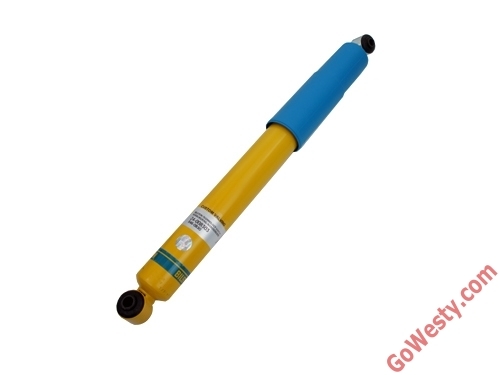 They are the original mono-tube shock absorber used as original equipment on many of the world’s top-brand automobiles. For years now, this has been the best shock you can buy for your 2WD Vanagon, period. These stiffer “extra heavy duty” Bilsteins are not designed for prolonged off-road use. Due to their internal valving, they can and will overheat due to extended periods of off-highway travel. 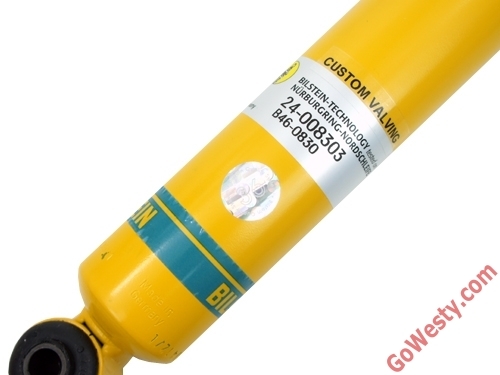 Like any shock Bilstein manufactures, overheating is not covered under the lifetime warranty. 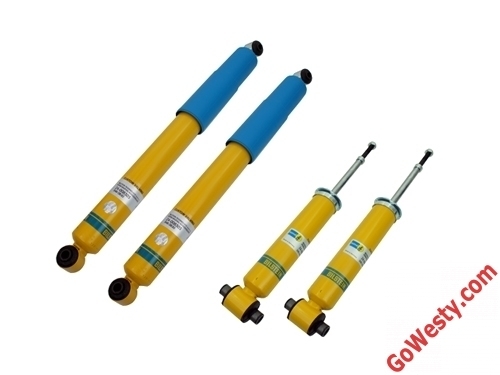 True off-road shocks such as our Fox units feature larger bodies and a greater volume of fluid to control waste heat. 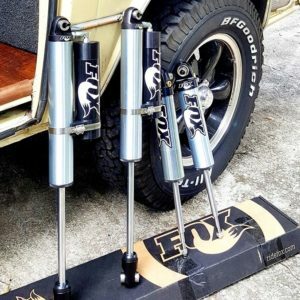 If you know you will be exposing your vehicle to off-highway environments on a regular basis, we highly suggest you invest in our race quality 2WD Fox shocks.